Friday night was Trigger Night at Anime Expo 2018. At the Studio Trigger panel, staff from the anime studio (known for Kill la Kill and Little Witch Academia ) ran down the aisles while throwing swag and Trigger-branded money at screaming fans as music played in the background. Then the troupe hopped up on stage and riled up the crowd like pro wrestlers. For the first time ever, the little studio of maniacal ex-Gainax artists filled the biggest room in the biggest anime convention in the United States. 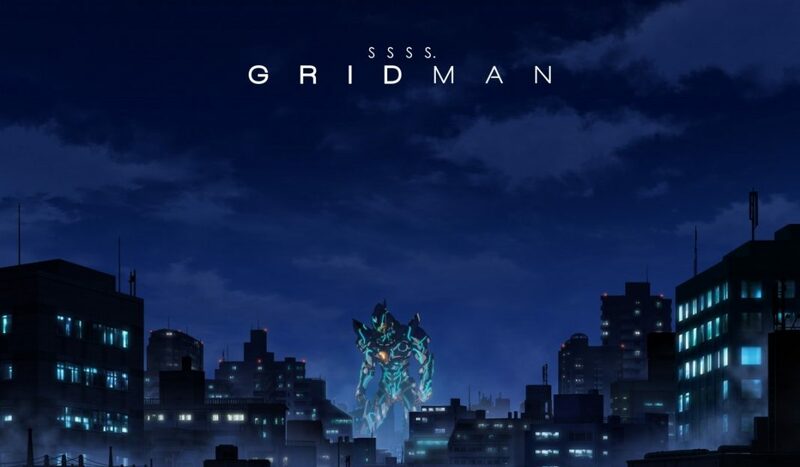 After the panel, I stuck around for the premiere of their latest project, SSSS.Gridman (due out this October and streaming via FUNimation). Based on the 1993 Gridman tokusatsu series, and prompted by director Akira Amemiya's Animator Expo short, it's a clear labor of love. 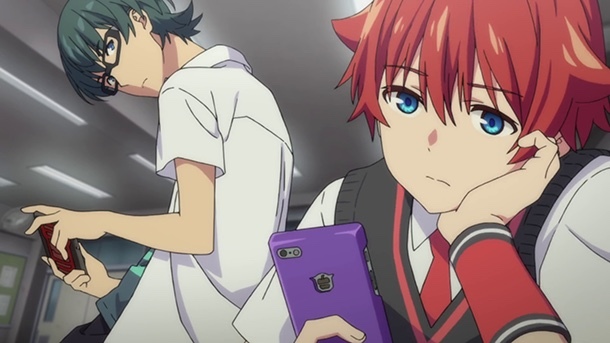 But even as a big Trigger fan, the first episode doesn't leave me with high hopes. Things start off remarkably normal for a Trigger anime. The hero is a high school boy who wakes up with amnesia and a voice in his head. It turns out the voice is coming from a tokusatsu hero on a busted old TV in his classmate's electronics shop. (But he's the only one who can see or hear him!) By the end of the episode, he jumps into the TV, transforms into the massive hero Gridman, and defeats a giant monster threatening the town. And that's really all there is to it. No wacky non-sequiturs. No outlandish costumes. The hero is an amnesiac high school boy with absentee parents who’s described as “nice” by his friends, bog-standard stuff. And other than the fight scene at the end, there’s not even very much notable animation work. Thankfully, the fight is cool enough that it's worth the wait; the mixed 3DCG/2D Gridman has a weight and power that will no doubt be thrilling to anyone who watched the original series growing up. It's just that there's a startling lack of ambition in the preceding scenes. The most interesting part of the premiere for me was seeing Akira Amemiya in action as the director of a full TV series. Amemiya served as co-director under Hiroyuki Imaishi (who's also a clear influence on his animation style) for Kill la Kill and Space Patrol Luluco , and directed the manic lo-fi animation on Inferno Cop and Ninja Slayer , but never directed a full, 24-minute TV series. If the first episode is anything to go by, Amemiya is a strange director; the episode's pacing and mood feels somehow off. I suspected at first that there was something wrong with the video, that it was missing background music, but eventually some music kicked in. It likely has something to do with the staccato timing of Amemiya's edits; at one point he tries to use it to comedic effect, but it falls kind of flat and looks more like a cost-cutting measure than a deliberate gag. I'm curious to see how Amemiya and his team of young animators fare for the rest of the series and whether there’s anything more sophisticated under the surface of the fairly ordinary first episode. But this isn’t a great start, even with a solid fight scene and an intriguing post-credits cliffhanger. If Darling in the Franxx didn't already teach you to temper your Trigger expectations, I expect SSSS.Gridman will be your final lesson. Last Minute Reminder: Genericon 2017, Featuring Studio Trigger!